Koh Xiao Xuan （许筱璇）is a practicing lawyer since 2014 and she was graduated with an LL.B (Honours) degree from the University of London in the year of 2012. She obtained her Certificate in Legal Practice in 2013. Thereafter, she read in chamber in Messrs. Jal & Lim and mainly involved in matters related to general litigation and banking litigation. After being admitted as an Advocate and Solicitor of the High Court of Malaya on 21st November 2014, she joined Messrs. Lim Fung Yin & Co. as a legal assistant and a large part of her practice has involved in construction and general litigation. 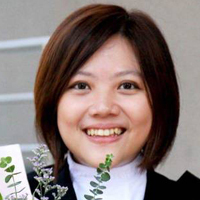 Subsequently, she joined Chur Associates in May 2017 as a legal assistant and her current practice in Chur Associates is Corporate under the lead of Vi Kee, together with the lawyers June Wong and Wan Yi, and supported by Sheila. Of course, as corporate lawyer, she is also supporting the Managing Partner Chris Tan and Senior Consultant Christopher Wong. Due to her previous litigation background, she is supporting our litigation team from time to time. And she is willing to support real estate team by attending the signing too. As an accountable lawyer, she is part of Chur Associates Strata Committee which formed on 2019, lead by Chris Tan, together with other lawyers Brandon Lim and Farah, that committed to provide one whole year strata training for the CAtizens especially the lawyers. In term of communication, Xiao Xuan is proficient in Chinese, English and Malay. And she is able to speak Mandarin and Cantonese too. The multilingual enables her to understand the clients better and helps them to solve the issue. Xiao Xuan is also practicing these CAlture along her years of service in CA, which is Team, Accountable, Respect and Understanding.